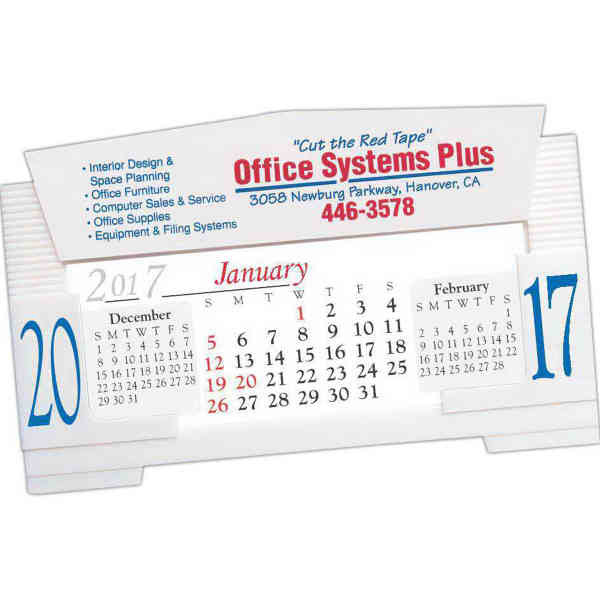 Imperial Desk Calendar, features 3 months at-a-glance pads. Year is printed on side panels. Made in the U.S.A. Size: 5 " x 3 1/8 "